Majestic indeed! 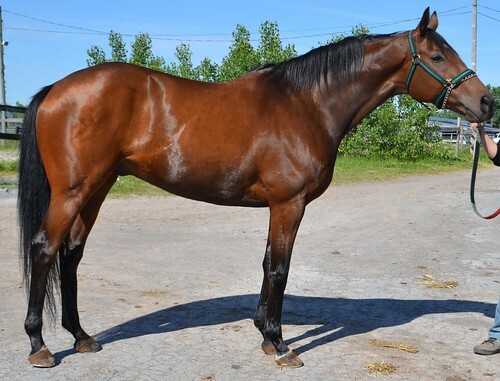 This big impressive gelding is gorgeous, with a huge shoulder and strong hind end that suggests jumping ability. His groom says he is big teddy bear, friendly, great to work with, and that he loves all kinds of treats — carrots, apples, peppermints, whatever you want to share with him. 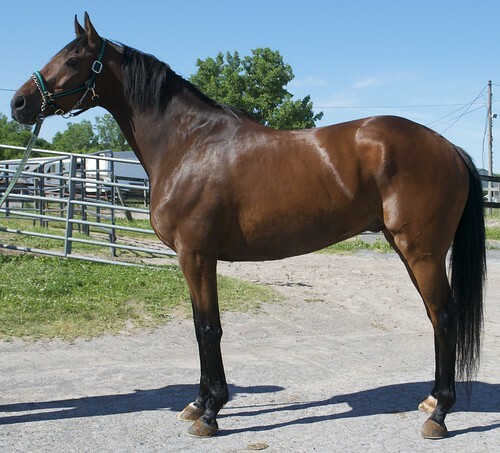 His owner/trainer says he is a sound and happy horse with a great attitude about everything. 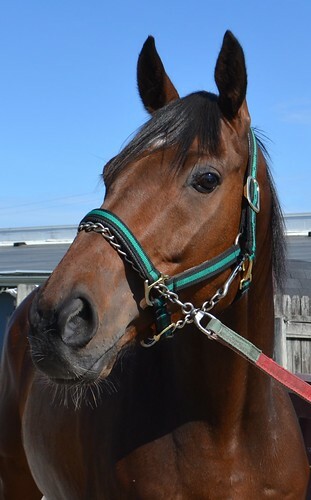 With 8 career wins, three of them last year, it is getting very hard to find racing conditions where he is eligible to run, and with the tougher competition he must face this year, he is not as competitive, so the trainer wants to find him a new career. 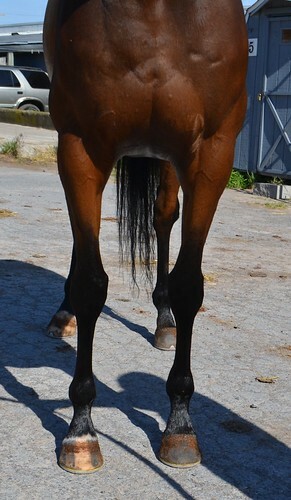 With his size, solid bodied good conformation, and very nice movement, we see huge sport horse potential. We photographed him just 4 days after his last race, and he was none the worse for wear, showing off fluid balanced movement with good push from behind and a toe flicking reach to his trot. He is an Ontario bred son of Bluegrass Cat, out of an Unbridled mare. AP Indy, Fappiano, Deputy Minister, Secretariat, and Affirmed are prominent names in his pedigree.